Includes 1 each of the following: 3216 What Is In Bear's Box?, 3217 I Can Count, 3218 Daisy Dances, 3219 What Is Funny?, 3220 Good-bye!, 3221 Hurry Up, Henry, 3222 J is for..., 3223 Little Lemon Lollipops, 3224 Monkey Made a Mess, 3225 No, No, Nicky!, 3226 Picnic at the Park, 3227 Quiet, Please!, 3228 Rock-and-Roll Rabbit, 3229 Sally and Sammy, 3230 Tick-Tock Time, 3231 Vinny's Book of V, 3232 What Is the Weather?, 3233 Little Zebra, 3234 Dan Can Add, 3235 Rex and Tex Out West, 3236 Little Miss Jill, 3237 Dot's Spots, 3238 Bud in the Mud, 3239 Dan and Dot, 3240 Dan and Dot's Rainy Day, 3241 Rex and Tex's Creepy Creatures, 3242 Bud's Book of Five, 3243 Jill's Toad, 3244 You Can, Too!, 3245 See What We Can Do!, 3246 The Story of Stone Stew, 3247 Creepy Creatures, 3248 Shy Sheep, 3249 The Grizzle, Grumpy, Grouchy Grog, 3250 Charlie, and 3251 The Blob. Looking to bring fluency to your classroom without leaving the fun behind? All books in this series include a refrain that provides students with the built-in opportunity to reread the same text. The rhythm, rhyme, repetition, and dialogue provide opportunities for students to use voice inflection and expression. 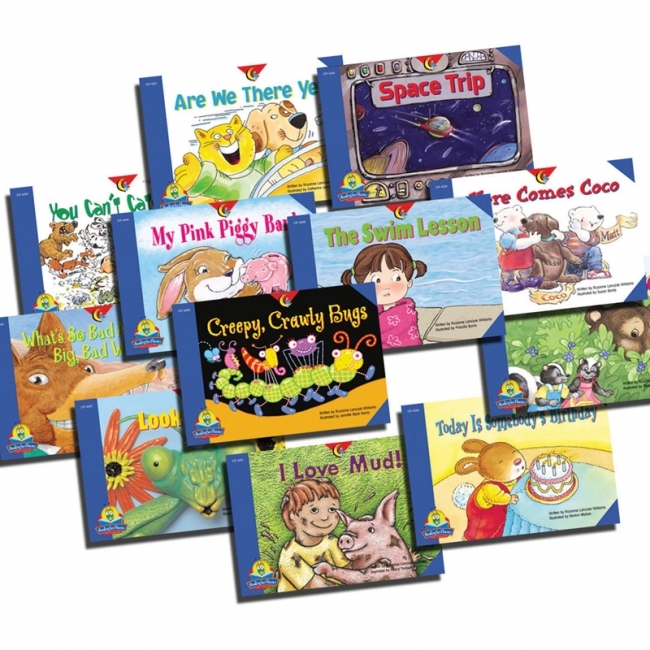 The motivating content provides a fun, interactive reading experience that will inspire young readers to want to read and reread these books over and over. The 12 books in this set include: What's so Bad About the Big, Bad Wolf? ; Creepy Crawly Bugs; Today Is Somebody's Birthday; I Love Mud! ; The Big, Hungry Bear; Here Comes Coco; My Pink Piggy Bank; Space Trip; Look Closer; The Swim Lesson; You Can't Catch Me; and Are We There Yet. Looking to bring fluency to your classroom without leaving the fun behind? All books in this series include a refrain that provides students with the built-in opportunity to reread the same text. The rhythm, rhyme, repetition, and dialogue provide opportunities for students to use voice inflection and expression. The motivating content provides a fun, interactive reading experience that will inspire young readers to want to read and reread these books over and over. 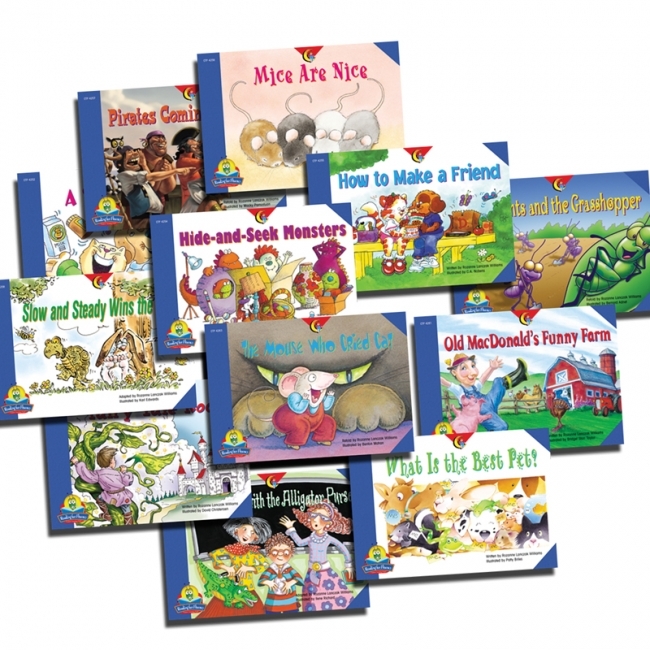 The 12 books in this set include: The Teacher with the Alligator Purse; A Snack for Cat; How to Make a Friend; Mice Are Nice; What Is The Best Pet? ; Fairy Tale Rock; Hide-and-Seek Monsters; The Mouse Who Cried Cat; Slow and Steady Wins the Race; The Ants and the Grasshopper; Pirates Coming Through! ; and Old MacDonald's Funny Farm. 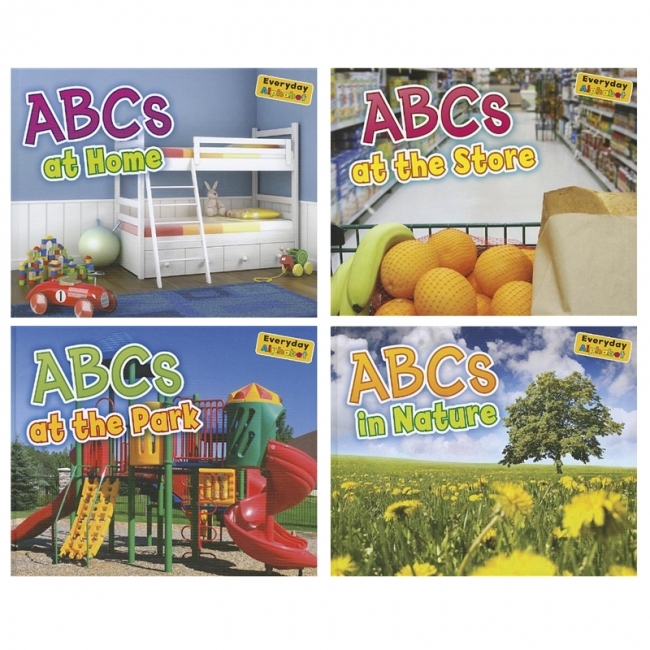 Each book in this series presents the alphabet from A to Z using words connected with familiar subjects that are part of young children's everyday lives. Each page presents a new letter of the alphabet alongside a word beginning with that letter. Each photo is also accompanied by a caption providing a fun or interesting fact. A design feature showing the whole alphabet with the relevant letter highlighted runs throughout each book, allowing the reader to see the whole alphabet at once and get a sense of where each letter sits in relation to the letters around it. 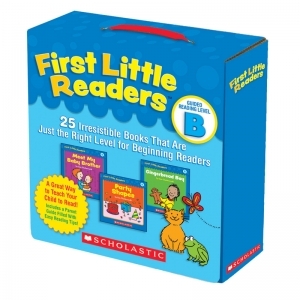 Build reading skills and confidence with this set of 20 little readers. Includes 20 Decodable Readers titles plus a practice workbook reinforce learned skills. 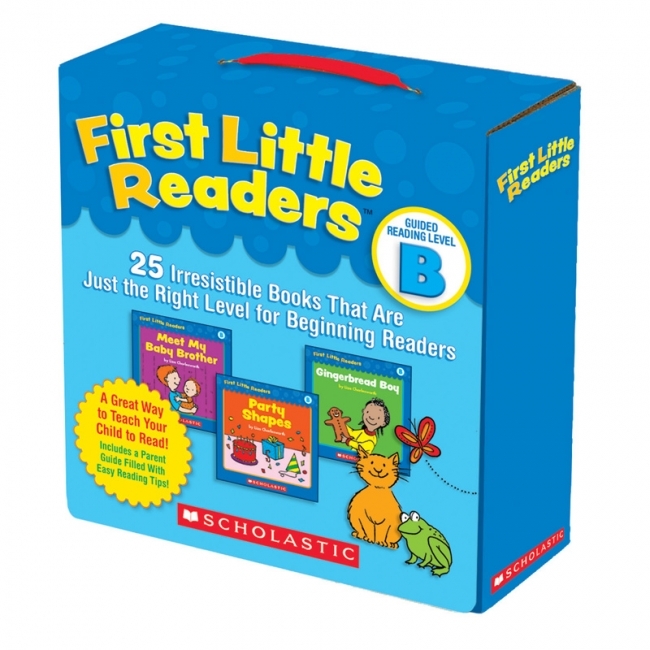 Perfect for beginning and struggling readers. Handy bag is great for home or the classroom. 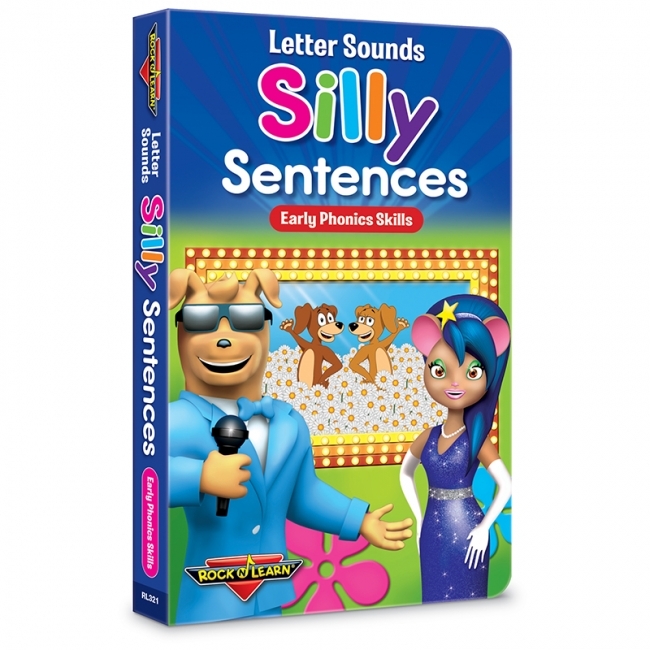 Give little ones an early boost learning the sounds that letters make. Silly sentences for all 26 letters help develop pre-literacy skills. Bright, colorful illustrations add to the fun. A game-show format challenges young minds to say or point to the letter featured in each sentence. The soothing effect of hearing repeated sounds makes this board book perfect before naps or bedtime. Goes along with a segment from Rock 'N Learn Letter Sounds video or can be used independently. Get ready for giggles and learning! Ages 1 and up. 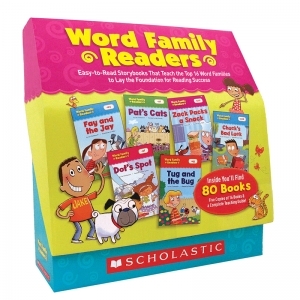 Word Family Tales are humorous read-aloud stories created to build early phonics skills by teaching children to recognize "families" of words that share the same spelling pattern. This ability helps kids decode new words with ease and become stronger readers, writers, and spellers. Set learners on the path to literacy success with these rib-tickling tales - one for each of the top 25 word families. 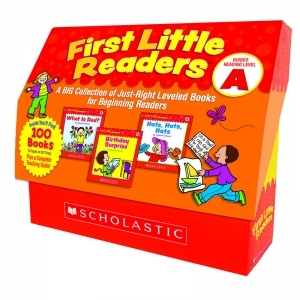 Jump start your early reading program with this BIG collection of kid-pleasing little books correlated with Guided Reading Level A. 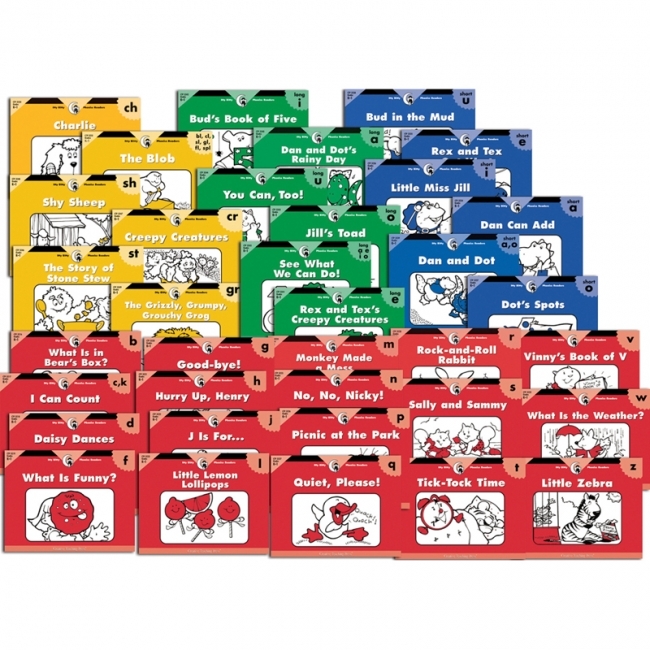 Inside the sturdy storage box, you'll find 100 full-color books (5 x 20 titles) PLUS a great teaching guide packed with lessons, tips, and literacy-boosting reproducibles. A great value and a must-have resource for every preK­2 classroom! Correlated with Guided Reading Level B! Jump start your early reading program with this BIG collection of kid-pleasing little books correlated with Guided Reading Level B. Inside the sturdy storage box, you'll find 100 full-color books (5 x 20 titles) PLUS a great teaching guide packed with lessons, tips, and literacy-boosting reproducibles. 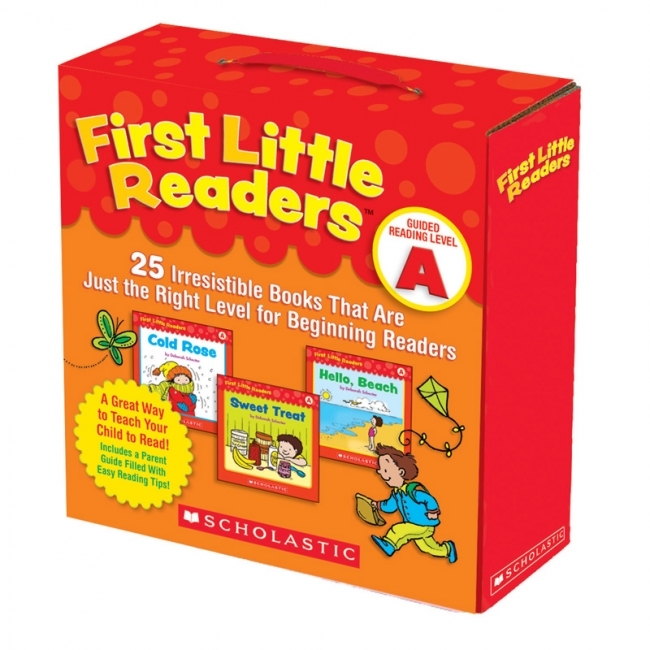 A great value and a must-have resource for every preK­2 classroom! Correlated with Guided Reading Level C! 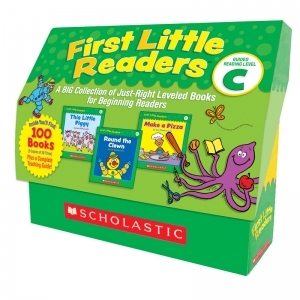 Jump start your early reading program with this BIG collection of kid-pleasing little books correlated with Guided Reading Level C. Inside the sturdy storage box, you'll find 100 full-color books (5 x 20 titles) PLUS a great teaching guide packed with lessons, tips, and literacy-boosting reproducibles. 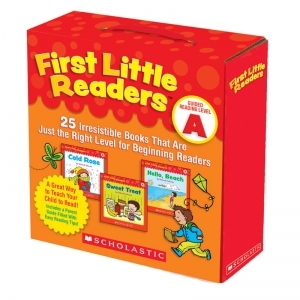 A great value and a must-have resource for every preK­2 classroom! Help kids become better readers, writers, and spellers with these lively tales that teach the top 16 word families! 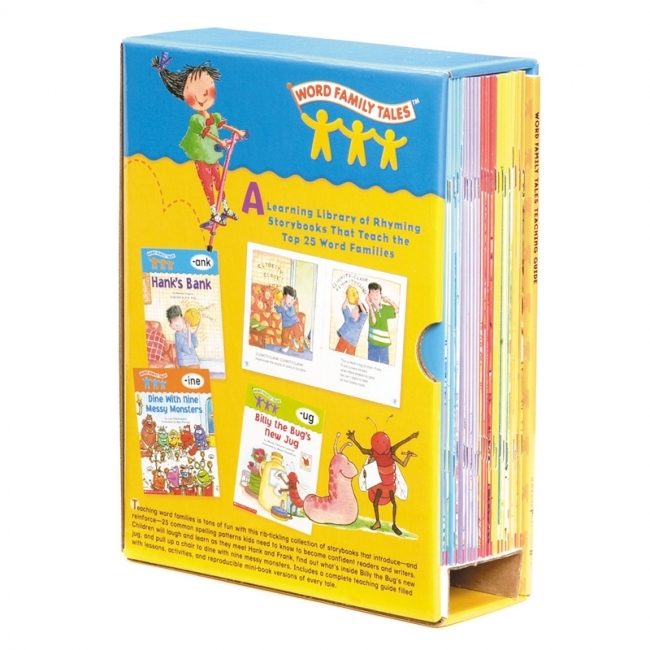 Each book reinforces a different word family--such as —am, -ell, and -ot--via a lively story and fun follow-up activities. Includes 80 books and a big teaching guide filled with lessons, reproducibles, assessment sheets, and more. 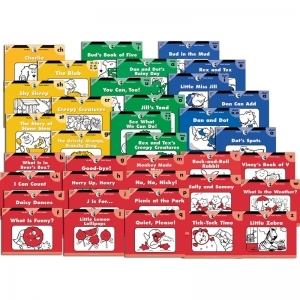 A must-have collection for every K-2 classroom! * 48-page teaching guide filled with lessons, reproducibles, assessment sheets, and more.